Being a teacher is the most difficult job I’ve ever had. It is academically, physically, mentally, and spiritually challenging — it is all-encompassing. The only thing I’ve experienced that feels similar is motherhood. The feeling that your baby, or your classroom, are part of everything you do. They are every breath you take, every conversation you have with another person — and yet it is so easy to feel alone. Like the impact of a loving family on a baby’s life, great teachers matter more to student achievement than any other in-school factor. While parents have informal networks of support like their family and friends, most public school teachers have a formal support structure — their union. Teacher’s unions build teachers’ collective and individual power. Their mission is to work to synthesize the expertise of their members and propose changes to contracts that will make the public education system better. What we are seeing in Oakland right now are the exasperated final efforts to settle a teacher contract during one of the most tumultuous times that I can remember since I started teaching in Oakland Unified School District (OUSD) in 2007. 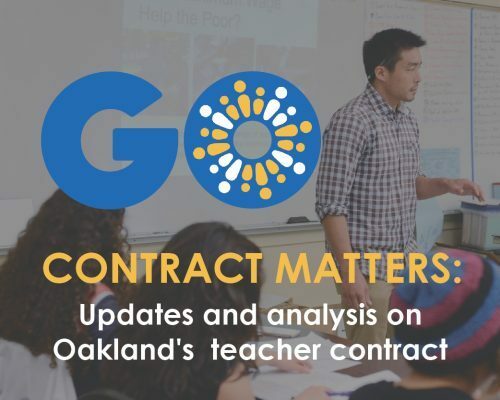 Current contract negotiations have been going on for about two years during a particularly difficult time in OUSD. Public education is shamefully and deeply underfunded in California, and in Oakland. The average rent in Oakland is $2866 per month, while the post-tax salary of a 1st year teacher is just $3200 per month — an outrageously low sum considering the informal rule of spending one-third of one’s salary on housing. In addition, our district leaders are charged with cutting tens of millions of dollars from next year’s budget and have also begun to implement a plan to reduce the overall number of schools in our city so that the ones that remain are better-resourced. These are complicated issues that call on every person in Oakland to be honest about the tradeoffs we must make in this moment while we continue to fight for more funding for public education. These are difficult decisions no matter how we move forward. No longer can we be OK with 1 in 5 teachers needing a second job to make ends meet. No longer can we spend our money on every well-intentioned initiative or program without regard for transparent evidence that it is having a positive impact on students. No longer can we say we have full-service community schools without ensuring that the number of students in the building will make the program financially sustainable. No longer can California spend, per student, about half of what states like New York and Connecticut spend and still think our schools will somehow meet all students’ needs. No longer can we play loose with the facts: multiple independent groups like Fiscal Crisis Management & Assistance Team (FCMAT), the State Legislature, our new State Superintendent Tony Thurmond, and the Alameda County Grand Jury agree that OUSD has major financial problems and needs to significantly cut its expenses. No longer can our schools, whether they are district-run or charter public schools, continue to work in silos and expect to make progress towards educational equity when both of these types of schools are failing significant numbers of our children. 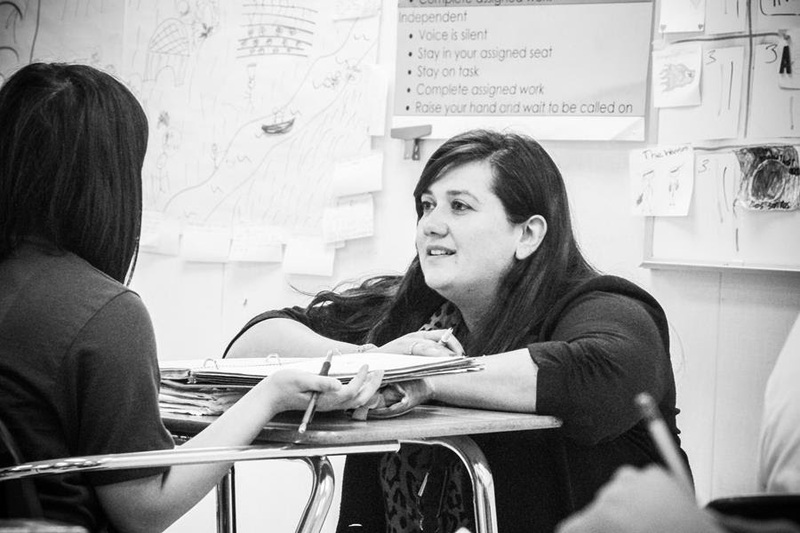 It’s time for all of us to do what we ask students to do every day — listen, consider the evidence, ask questions, attempt to understand all sides of an issue, then formulate a viewpoint and back it up with sound reasoning. Next week, the Oakland Education Association (OEA) and OUSD will present their final proposals to the fact-finding panel. We hope that both parties will be honest and vocal about the tradeoffs that will need to be made for a settlement that prioritizes teacher retention and that they both clearly communicate those tradeoffs with the public. We also hope that teachers engage in conversations about these tradeoffs as they take a strike authorization vote. Finally, we hope that the spotlight on teacher actions in Oakland and the recently-resolved strike in L.A. moves our state-level leaders to dramatically increase education funding, moves Oaklanders to come together to advocate for this, and moves our district to do the long-term work to prioritize teacher retention because it matters so much for students. None of this is easy, and we stand in awe of the educators who are doing their jobs every day with this weight on their shoulders.